Committed to the University of Nebraska! Hard work, Commitment and Dedication pays off as I am about to join my teammates in the Big10 next season!!! I want to Thank everybody who has helped and supported me! 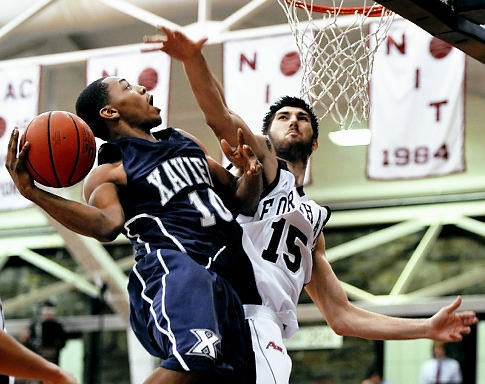 Head coach Doc Sadler has landed his third JUCO commitment for the Nebraska class of 2012 in big man Fahro Alihodzic. The 6’9″ Alihodzic plays at Southeastern CC in Burlington, Iowa . . . Originally from Bosnia, Alihodzic played high school ball at St. Francis de Sales in Toledo, Ohio and committed to play at Fordham University. He started 14 times as a freshman in 2009-2010 and appeared in every game for the Rams, averaging 4.5 points and 4.0 rebounds in 22.3 minutes per game. He shot 41% from the field and only averaged 1.4 turnovers per game. 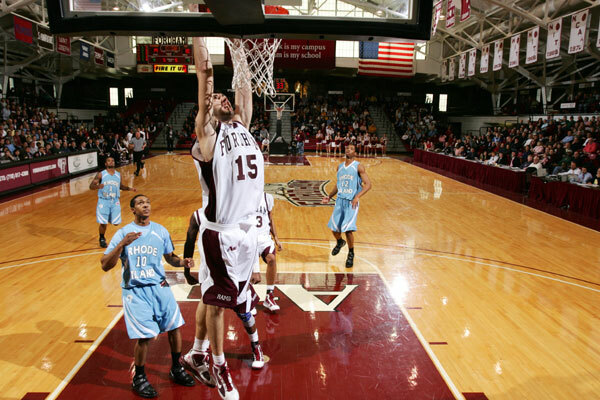 This entry was posted on October 3, 2011 at 10:38 pm and is filed under Atlantic 10, College Basketball, Fordham. You can subscribe via RSS 2.0 feed to this post's comments. I agree with what you are saying Petermartin08. I think that they did push him out and Fahro like most recurits wanted to stay because of Grasso, Lyons, or any other coach and Fordham decided to go in a new direction with Pecora. I guess when teams bring in new coaching staffs the players have such a good relationship with other coaches that they bolt for another school. In this case, Pecora didn’t see much need for Fahro and so Fahro went to a place where they will need him. Fahro was also judged by his JUCO numbers that he put up in that small community college in Iowa. They saw what impact he can make on a team and went from there. Like many scouts said, he is a big talent who can surprise some colleges. He didn’t surprise me that much but we shall see what happens. It should be interesting. He has not played any JUCO games yet. He is being judged from practice and preseason open gyms. Other than Nebraska, According to the articles, He was being recruited by Wichita State, Kent State, Missouri, Washington State, Notre Dame, Bradley. I mean the list goes on. These are high major conferences, Big10,Big12, Pac12 and the Big East. Or even,top teams at the mid-major level which go to the NCAA tournament regularly, Wichita state and Kent state. Obviously the kid has talent and has most likely improved a lot since playing in the A-10 two years ago. Remember he started as a Freshman from Europe. He needed time to adjust to the game. He was also in a broken down program which never helps. One conclusion comes to mind. He was obviously shut out by Fordham and Pecora, primarily because he was not his recruit. Fordham lost a kid who could have really helped them due to politics. I am happy for him. He deserves this and I wish him luck.